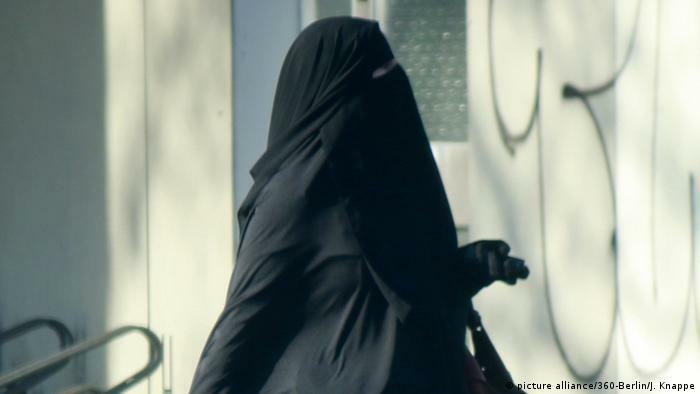 Germany’s conservative interior ministers have released their much-vaunted “Berlin Declaration,” which included plans for a partial ban on full-face veils in public. But rules on dual citizenship will remain the same. After a number of recent noncommittal statements, Federal Interior Minister Thomas de Maiziere has come out in favor of a ban on full-face veils in certain areas of public life, making a partial concession to his state-level colleagues in the Christian Democratic Union. 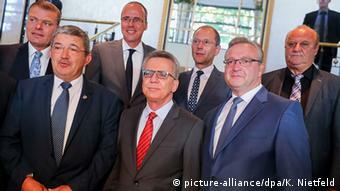 De Maiziere presented the interior ministers’ “Berlin Declaration” on Friday morning following a meeting with his colleagues in Berlin on Thursday night to hash out the fine points of the plan. According to de Maiziere, these situations included driving a car, visiting public authorities, in schools and universities, working in public service and appearing in court. He added that the Social Democratic Party (SPD), the CDU’s coalition partner in the federal government and some states, would agree with much of the Berlin Declaration. The commonly used phrase “burqa ban” is something of a misnomer in a German context: The burqa, a loose cloak where the eyes are also covered with a mesh, common in Afghanistan and Pakistan, is virtually unknown – though the niqab, where the eyes are visible, is occasionally seen in Germany. In fact, there may be more than political hedging to the compromise the ministers took on Friday.Legal experts have pointed out that Germany’s constitution prohibits a total ban on the burqa or the niqab, given its guarantees of religious freedom. The new debate about full veils was triggered after de Maiziere announced new security measures last week in the wake of three violent attacks that took place in Germany – all carried out by men not wearing a veil. The opposition Green Party dismissed the CDU’s proposal as part of an “ignoble summer theater” around the new security measures. 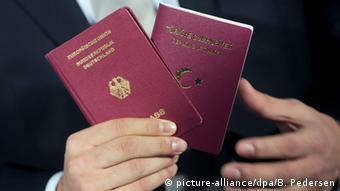 Two CDU interior ministers, Frank Henkel of Berlin and Lorenz Caffier of Mecklenburg-Western Pomerania – both of whom are in the middle of regional election campaigns – have also called for the complete abolition of dual citizenship in recent weeks. This met with considerable opposition among all the other major political parties in Germany, who argued that it would hinder rather than aid integration. In the end, the Berlin Declaration included a compromise which would see dual citizenship withdrawn from anyone considered a public danger. The ministers also agreed to commission a review on the effect of dual citizenship on integration, which would report by 2019. In addition, the Berlin Declaration contained plans to employ 15,000 more police officers across the country, an increase in the number of security cameras in public spaces and an expansion of the police’s surveillance powers. German police organizations welcomed the initiatives in the Berlin Declaration, but questioned its political motivation. Andre Schulz, chairman of the association of German police officers (BDK), told the EPD news agency that he wasn’t sure how the ministers had arrived at the figure of 15,000, since it was up to states how they distribute their police resources.